Warning: do not connect immediately to some input device as the voltage output by the Arduino may damage it! 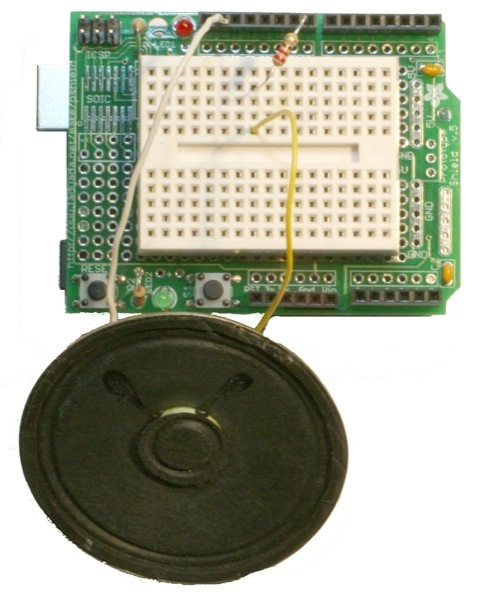 For this circuit, I've used an old PC-speaker. 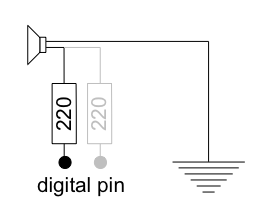 To mix the output of the signals to output to a single speaker, simply use a resistor from each output pin and tie them together at the speaker. The volume depends of course on the resistor used.